Кроме того, прямо из редактора текста можно перейти в двухпанельный менеджер файлов или в предпросмотр HTML файла. • Темы оформления (более 70 шкурок) и скин-билдер. 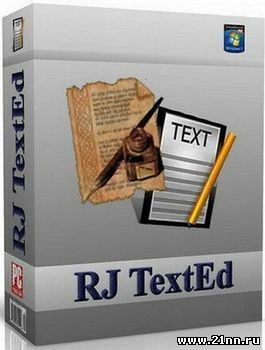 RJ TextEd - is a full featured text and source editor with Unicode support, syntax highlighting and code folding. The functionality extends beyond text files and includes support for HTML editing with integrated preview, spell checking, auto completion, HTML validation, templates and more. The program also include support for Topstyle Lite CSS editor, has a dual pane file commander, as well as a FTP client to upload your files. The editor uses language files to display menus and dialogs in different languages.